Kylie has been attending classes at Fun With Abacus for over a month now and everytime I tell people that she goes for abacus lessons, they'll ask me "Why Abacus??? Abacus useless one lor". I think people of my generation find abacus useless because when abacus was part of our syllabus back in those days, most of us (including me) couldn't grasp the whole concept and honestly speaking, up until now, I still don't know how to work that abacus. But I do not agree that it's useless. 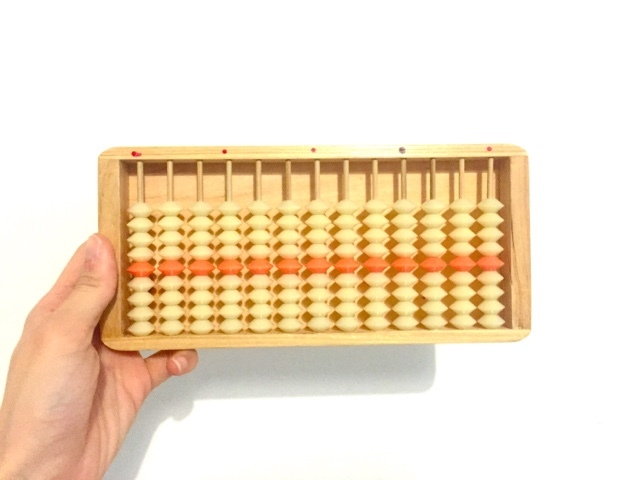 I once chanced upon a video of a kid who could do mental sums involving huge numbers at an incredible speed - faster than you could do so with a calculator so I actually believe that if taught right and learnt well, abacus is pretty powerful. Fun With Abacus isn't a new establishment, they have actually been around in Singapore for more than a decade, teaching abacus and mental arithmetic in childcare centres as part of the school's curriculum. They recently decided to make classes available to the public as well as an added enrichment course for children aged 4 and above. Fun With Abacus focuses on teaching children mental arithmetic and mathematics concepts such as addition, subtraction, multiplication and division with the help of the abacus and the children who have been learning with them have also won several awards and even emerged champions in mental arithmetic competitions! Personally, I'm terrible at math & have always worried about teaching Kylie mathematics - especially when she transitions into primary school. So when Fun With Abacus approached me for a collaboration, I had no qualms about trying their classes out because I didn't know where to start or how to teach her at all other than simple addition. I didn't even know how to teach her the concept of subtraction and she's only learning relatively simple math in school. To be honest, I wasn't expecting much (probably just simple sums like 10+5 = 15 kind of stuff that she was learning in school) cause Kylie is only 5 years old and as far as I can remember, at 5 years old, I was learning basic mathematics like 2+3=5 and I'm pretty sure I'm not the only one. But when I had the opportunity to sit in for her trial lesson and her first official lesson, I was SUPER IMPRESSED, to say the least! Believe it or not but on her very first day, Kylie already managed to do sums like "17 + 2 - 5 =?" with the use of an abacus. I honestly didn't know she could grasp the concept so fast and well although she was a bit doubtful of her answers. 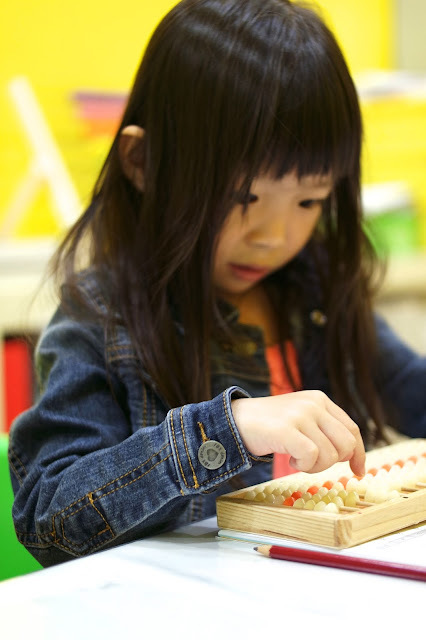 During the trial lesson, Kylie was first introduced to the abacus and how to use it. 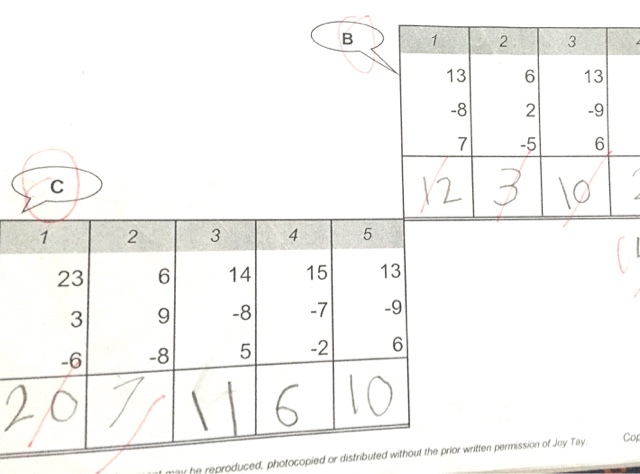 She started off by doing simple sums like 1 + 2 and within 15 minutes she got a hang of the abacus and progressed to doing sums that involved 3 numbers! Kylie was thrilled to receive her very own abacus set with her name on it! Kylie's teacher, Miss Gwendolyn was also very engaging, encouraging and patient with Kylie. As Shane and I sat and watched Kylie write the answers ever-so-slowly (she took like an entire minute to write each number) like the dilly-dally princess she is (not sure if she was being meticulous or what), we couldn't help but admire Teacher Gwen for her patience! 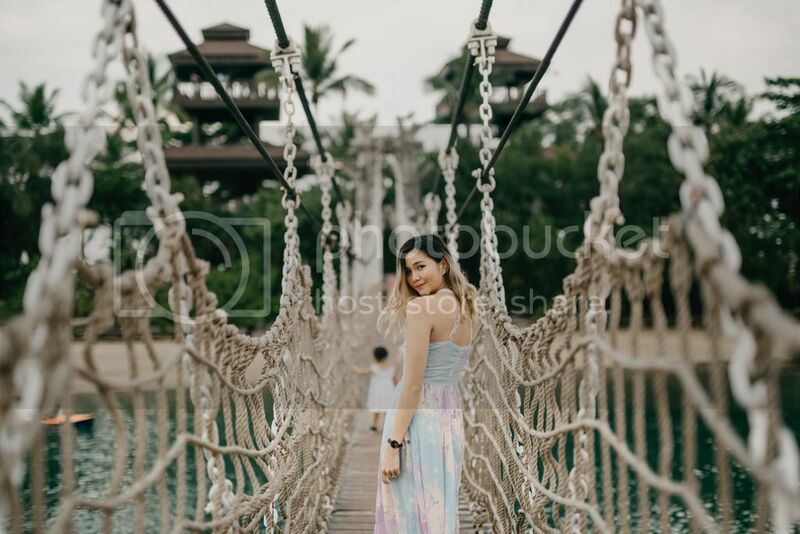 As her own parents, we were already exchanging glances at each other and frowning as we telepathically hurried her in our heads but Teacher Gwen showed absolutely zero signs of impatience at all! Which is probably why Shane & I are not teachers by profession hahaha! One thing I like about Fun With Abacus that would be a top query for most moms, is their class size. They provide classes in really small groups (2-4 kids per class/teacher) which gives more room for focus and guidance on each individual student so I can rest assure that her time there is fully maximised and that she is taught at her own learning pace. I don't know about other parents but I like the idea of homework. Not that I want to put stress on Kylie but I think a little bit of homework over the week/weekend is good not just for her but also for me to know how well she's coping and what are the things that I need to help her on. The homework that the teachers at Fun With Abacus give isn't excessive either and frankly, I think it's pretty fun to do! These are some of the questions that Kylie managed to solve on her own with very little to almost zero help from me! One of the things Kylie was tasked to do after the first lesson was to memorise the "Number Buddy" - in other words, she has to memorise ? + ? = 10. So, if I throw her the number 2, she has to tell me that the "buddy" of 2 is 8 because 2 + 8 = 10. You'd think it'll be hard for a five year old to understand or calculate without the help of their fingers or anything but I was very surprised that Kylie could do so in less than a day! Abacus isn't just about working towards teaching mental arithemetic but also doing it with SPEED. Within two days, Kylie could answer the " in a snap! (See video below) & it's not like she had learnt it prior to her lessons at Fun With Abacus! Never underestimate what a child can do! I never thought Kylie could do addition and subtraction with such ease at her age so starting her on multiplication when her foundation in addition and subtraction wasn't there never crossed my mind. But merely after her 5th abacus lesson, I was told that Kylie now knows up to 0 & 1 times table all the way up to 2 x 5! They're progressing towards doing mathematical sums without any abacus at all so I'm really excited to see how that works out! 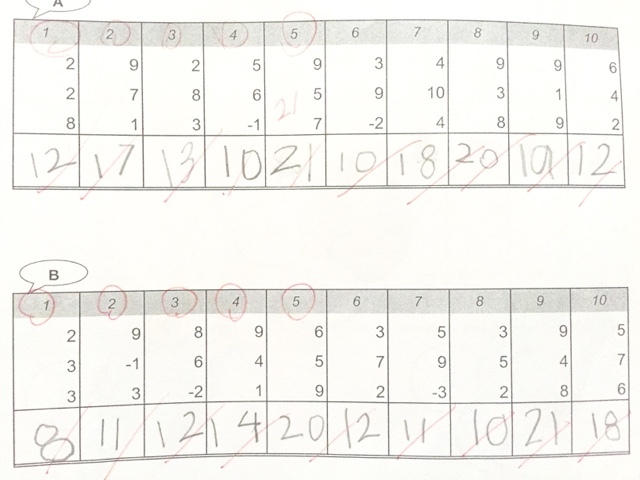 I'm very keen to know how far Kylie can go with mathematics through her lessons at Fun With Abacus & after seeing the results for myself, I'm even more quick and sure to shoot down anyone who tells me "Abacus lessons are useless". It really is very helpful but it needs to be taught right! I'll update more on Kylie's progress as she advances but for now, if you're looking to enroll your child in learning abacus, you can check them out below!